I am always interested in seeing older aprons, be it 20 years or 50 years. Inspiration comes from all places and to see the fabrics, the style and the fit of aprons from the past gives me ideas or sometimes a laugh or wonderment. Delicate pockets, frilly trims, ruffles, sheer fabrics, reused fabrics, flour and grain sacks, every apron tells a story. Women wore aprons in the home all day to protect their clothes while they tended to their chores and duties. The thought of this makes me shake my head but those were the times. I won't glamorize or romanticise it. I think it must have been a very difficult and not a very satisfying life for most. On the other hand, it may have been very satisfying and fulfilling for some women. 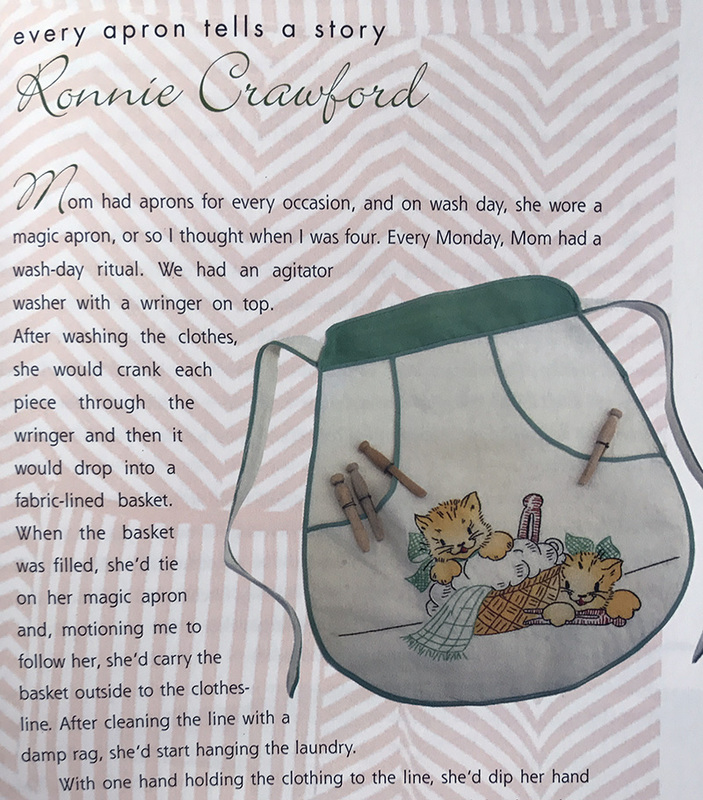 I received an email newsletter the other day about vintage aprons from Threads Magazine. The writer found a collection of aprons in her parent's house. The collection is varied, functional and pretty. 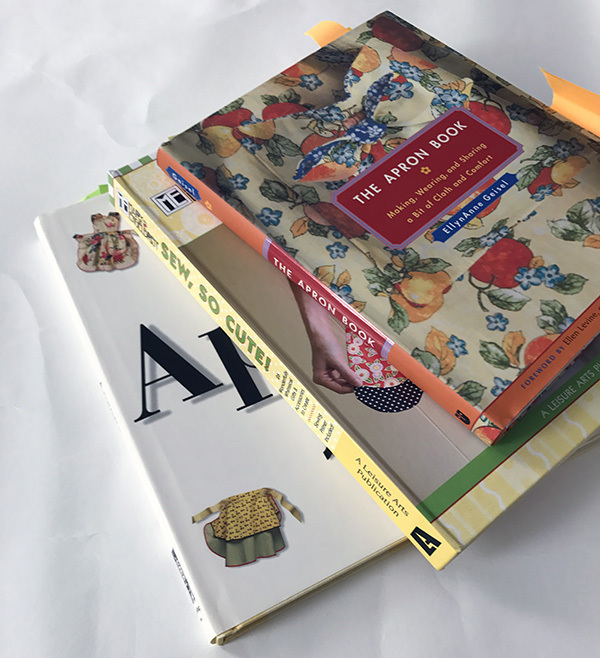 As I start a new season of design and making, this article inspired me to pull out some of my vintage apron books. 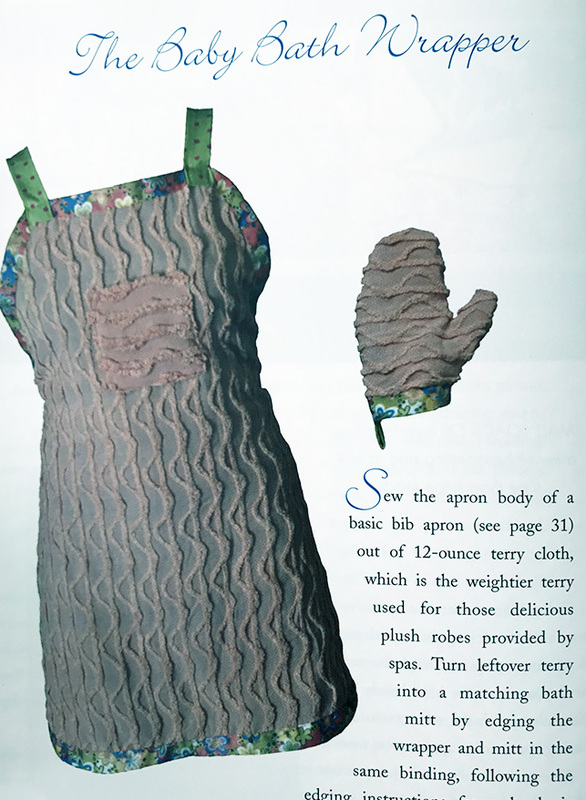 from the book Aprons by Joyce Cheney, a 1940's apron. Very wearable today in 2017.